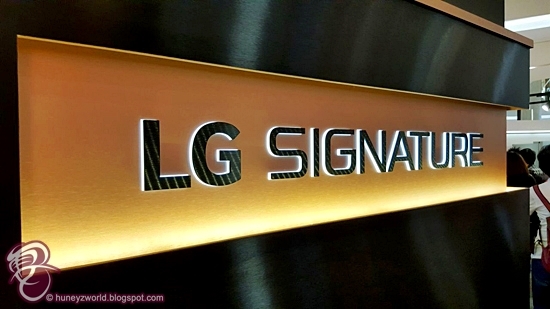 Experience The Signature of LG Technology At ION Today! 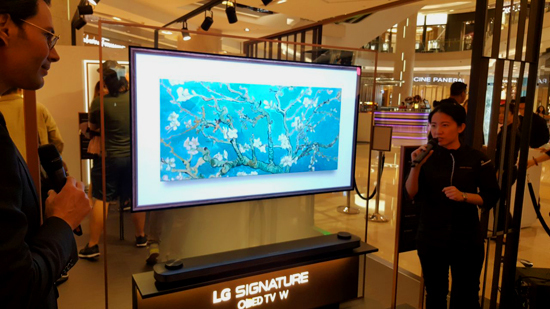 If you are looking to improve your living experience at home, a visit to the LG Signature Exhibition might just be the trip you need. 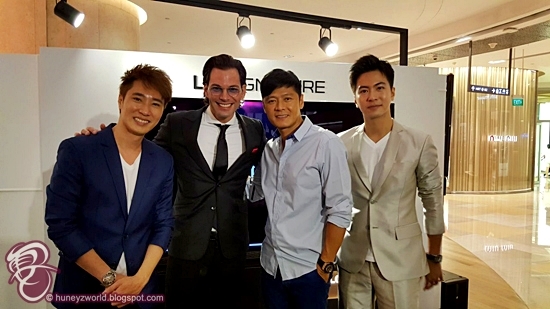 Opened to much funfare on 11th May 2017 at ION Orchard Atrium Level 1, with an orchestra, MediaCorp Artistes and two-time winner of Asia's Best Pasty Chef, Janice Wong of 2am:dessertbar, LG proudly unveiled its ultra-premium brand that blends sophisticated technology with modern minimalist designs through a showcase of its stunning Home Appliances and Consumer Electronics. 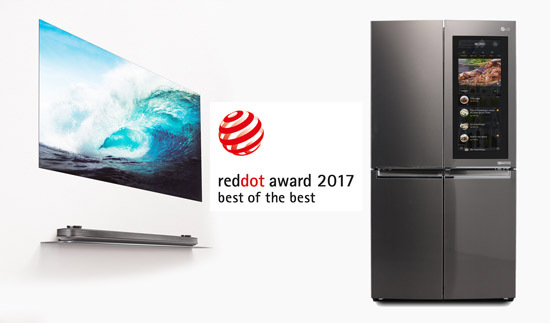 The key highlights at LG Signature Exhibition, are the two winners of Best of the Best awards at this year's Red Dot Design awards — LG SIGNATURE W7 OLED TV and Smart InstaView refrigerator — for their innovation and contribution to the design community. 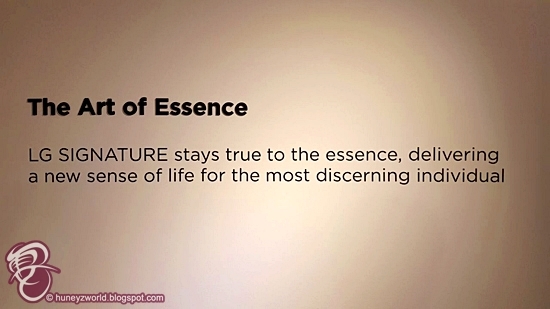 LG SIGNATURE W7 OLED TV is simply a marvel, in term of both design and technology, to look at. At just 2.57mm thick for a 65-inch model, you can just paste it onto the wall using a magnetic bracket! Built with LG OLED revolutionary pixel dimming control technology, which renders perfect black without any light leakage for infinite contrast ratio, you could actually display a high-resolution picture of Van Gogh's The Starry Night on the TV and its amazing ability to reproduce the most lifelike image actually created an impression that makes you feel you actually owned the real painting in your living room!! 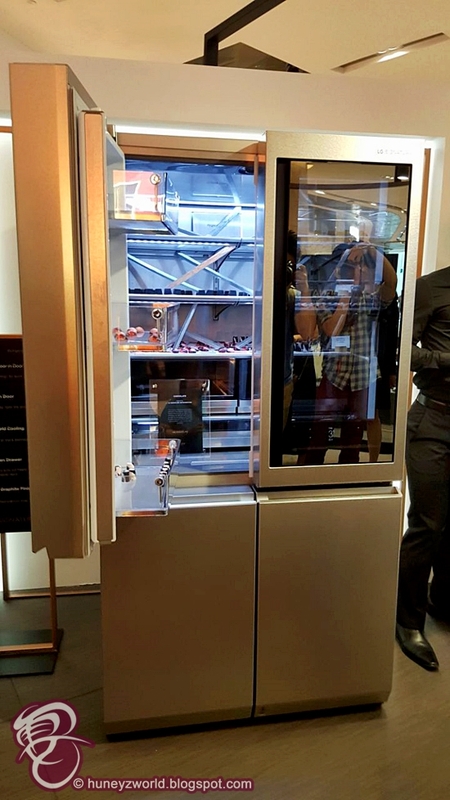 While there are increasingly more and more smarter refrigerators been launched recently in the marketplace for Home Appliances, none so far allows users to peer inside without opening the door. Featuring a 29-inch LCD touch display that instantly turns transparent with just two knocks, and come with a Auto Open Door feature that allows the user to open the door of the refrigerator with the user's foot instead of his/her hand (reminded me of opening the boot of premium cars), LG’s InstaView Door-in-Door™ refrigerator was recognized by Red Dot for successfully combining a beautiful appliance with interactive technology. I personally like the Smart Tag menu within the LCD touch display of the refrigerator because it allows users to add stickers and tags on the screen to indicate which foods (and whose?!) are stored inside and also offers users the ability to input the expiration date of each item, so the refrigerator can issue reminders when foods near their expiration dates. 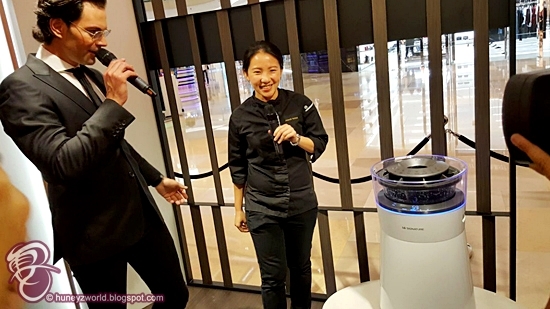 Do check out other LG SIGNATURE home appliances such as LG SIGNATURE Air Purifier that allows users to visualize air cleaning or the LG TWINWash™ washing machine at The LG SIGNATURE Exhibition that is open to public from 11 – 23 May at ION Atrium L1.